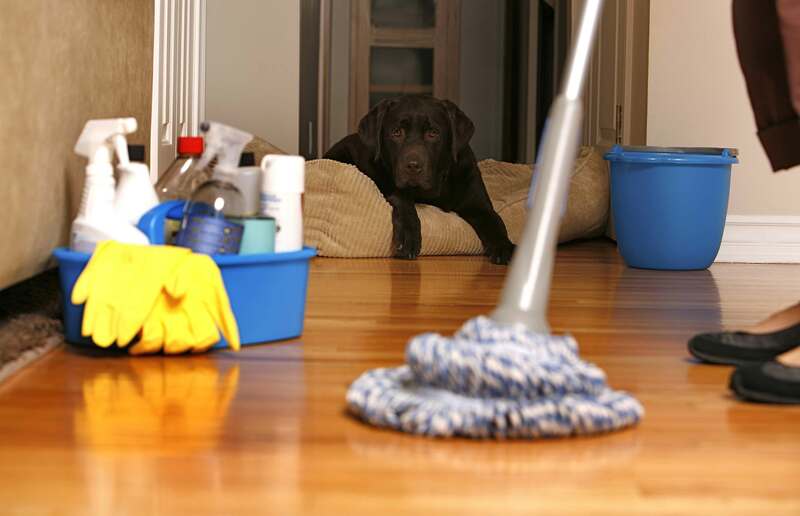 Maintaining a clean home or business is imperative for several reasons. Dust and debris in the air can cause allergic reactions such as sneezing, coughing, runny nose and other conditions. A buildup of dirt inside a business or home can lead to infestations of insects or rodents. Dirt can also cause materials within a building to breakdown due to corrosion and contamination. In addition, individuals living or working in an environment want to have it smelling fresh and clean. An important part of a home or business budget is planning for regular cleaning. Home or business owners can save on maintenance budgets by having fewer items that require frequent cleaning. Simplifying and minimalism makes it faster to vacuum flooring, wash walls and dust items. Figurines, artwork, books, and other decorative items require additional cleaning supplies. If the homeowner is paying a professional for cleaning services on a regular basis, then cleaning clutter adds to the cost of the service. Reducing clutter creates an environment where less dust and debris can collect on surfaces. Before buying cleaning products compare prices carefully at several brick-and-mortar and online stores. Have a plan concerning the types of supplies needed for various jobs within the home or business. Different varieties of equipment and cleaners are required for wood, linoleum or carpeted flooring. If a home or business has ceiling fans or lighting, then extended dust wands or ladders are necessary to reach the items. Comparing prices on durable equipment can keep a home or business owner within a budget. Save money on expensive cleaning products from stores by making homemade solutions. Manufactured window, bathroom and oven cleaners in spray containers are convenient but expensive. In addition to paying for the cleaner, individuals are spending extra money on the easy spray bottle. Make simple cleaners at home with white vinegar, baking soda, mild dish detergent or bleach. Purchase reusable spray bottles to fill with the homemade solutions. Learn how to mix the ingredients correctly for safe and efficient cleaning of various items at a home or business. Instead of buying expensive equipment such as carpet shampooers, steam cleaning machines or floor polishers, rent these items once or twice a year. Cleaning equipment is often available for home or office use at low prices from rental companies. Larger supermarkets and retailers also have cleaning equipment for a small rental fee. Several families or businesses can combine a cleaning budget to share the cost of the rental equipment for additional savings. Every home or business owner has particular chores that require specialized cleaning methods a few times a year. However, maintaining a regular cleaning schedule saves money over an extended amount of time. Make a habit of keeping up with routine chores such as scrubbing kitchen and bathroom fixtures. Allowing dirt to buildup will require additional cleaning supplies to remove the debris.